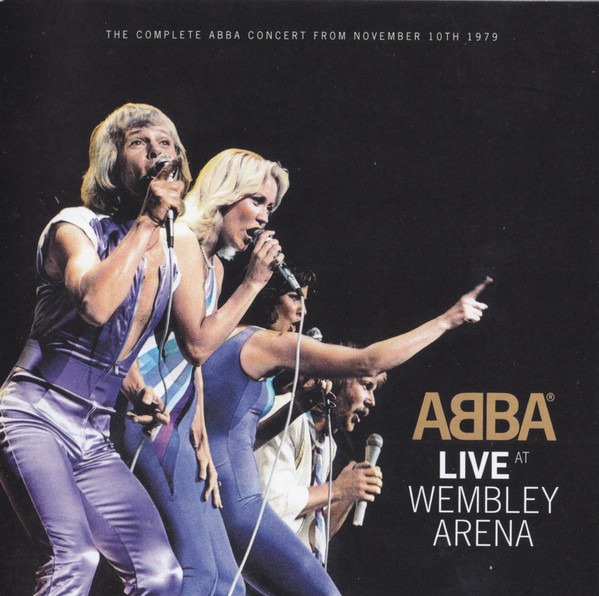 Recorded at London's Wembley Arena in November 1979, this live album (a comparative rarity from ABBA) finds them performing at the peak of their powers and popularity, to a sell-out, enthusiastic crowd. The sound quality is truly outstanding throughout, as is the musicianship from Bjorn, Benny and their top-notch band. Agnetha and Anni-Frid are on their usual harmonious and crystal clear vocal form. 16. Why Did It Have To Be Me? Now, I am not a fully paid-up ABBA fan, so to speak, but I have to own up to a liking for them, however uncool hat was as a punk in 1979. Still, I was in good company with Elvis Costello. 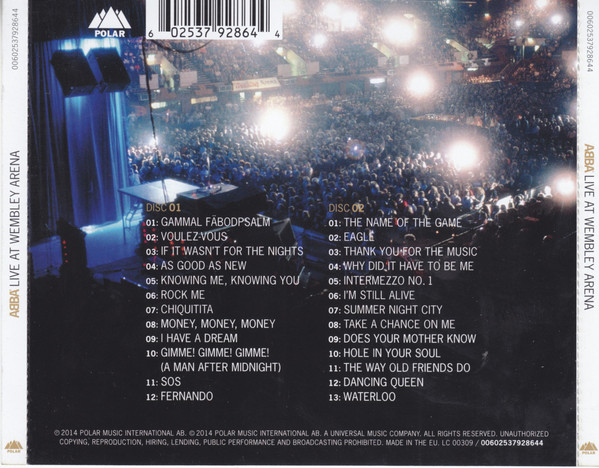 I get this album out every now and again and play it through and it is just such a pleasurable experience. 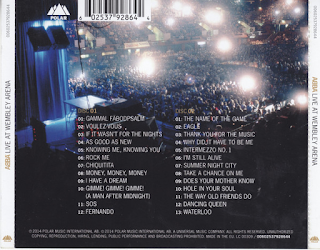 As well as all the hits, there are some interesting rarities (non-single album tracks) as well, such as "If It Wasn't For The Nights"; "As Good As New" (both from "Voulez Vous"); "Why Did It Have To Be Me" (from "Arrival"); "I'm Still Alive" (sung live here, but never recorded in the studio); "Hole In Your Soul" (From "ABBA: The Album"); and "Intermezzo No. 1" from "ABBA". The great hits are all here, nearly all great, but the children's choir version of "I Have A Dream" is a huge chunk of Swedish cheese and I have to declare a loathing for "Does Your Mother Know". Those minor qibbles aside, it is a thoroughly enjoyable album. Nicely presented in a hardback CD cover too, with some excellent pictures from the gig, one of which, refreshingly, clearly shows Agnetha to be a true girl of the seventies. It's all in that blue jump suit shadow, you see.